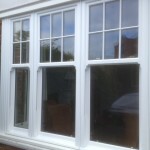 Are you looking for stunning sash windows at unbeatable prices in Chessington and Malden Rushett? 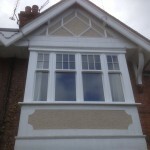 Our stunning sash windows in Chessington and Malden Rushett can imitate period sash windows perfectly, and offer modern benefits, whilst never compromising on style and feel. Available in uPVC, aluminium and timber, each one is sourced from the leading UK manufacturers and complement many of the other products we have to offer. Here at Merton Windows and Doors we channel all our energy into going the extra mile for our customers; from the moment you call us, we can offer a personal, expert and efficient service. We pride ourselves on quality – both that of the products we install and our window and door installations. We never outsource any of our work, so we know that everyone working on your residential or commercial project is a consummate professional, skilled and courteous. Our company Director Paul Boyd brings 30 years of experience to the table, so whatever your needs, we can find a glazing solution to suit your requirements and your budget. All of our products can be made to measure, so whatever colour, design, material and features, you can choose a product that is truly bespoke. We are proud local members of FENSA and all our work comes guaranteed for at least 10 years. We strive to stay ahead of all the technological advancements in the industry, so we can offer you the very best. 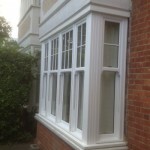 As well as sash windows, we can help with composite, French and patio doors and bi-folding doors in Chessington. 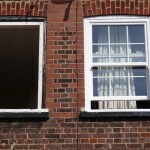 If you are thinking about replacement vertical sliding windows or any other double or triple glazed products in Malden Rushett, please give us a ring on 0208 542 2233. When it comes to making improvements to your property, there is a vast array of choice. 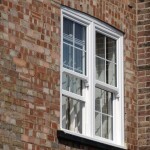 From the material used, such as timber, uPVC, timber or aluminium, through the style of window, such as casement, sash or tilt and turn and separate features and accessories. 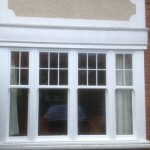 We can supply and install windows of any shape and size. Read more on our blog about how to find the perfect window frame design for you. Contact our windows team in Malden Rushett and Chessington for new and replacement sash windows, timber windows and casement windows! Call us on 0208 542 2233 or email [email protected] today for more details or a free-of-charge quotation. Alternatively, you could fill out an online enquiry form and we will call you back.